We are dedicated to improving our community by uniting those with a deep passion for the arts and a love of the Northern Nevada area. 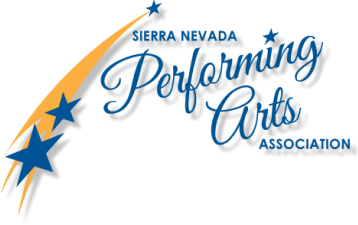 ​The Sierra Nevada Performing Arts Association was established as a non-profit organization to support performing arts schools in Northern Nevada and to provide scholarships to local talented students by sponsoring cultural events which promote economic development and job creation in our community. We are dedicated to improving our community by uniting those with a deep passion for the arts and a love of the Northern Nevada area. Our goal is to not only increase the awareness of Nevada as a national musical venue but also to bolster the educational aspirations of our community’s young performers through scholarships and other support. by sponsoring cultural events which promote economic development and job creation in our community.